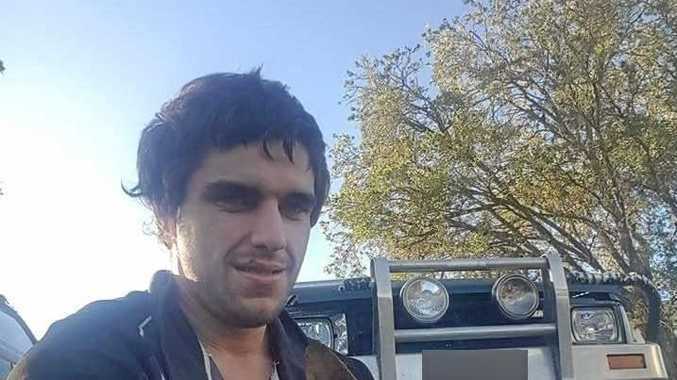 A FARMER who accidentally shot a man in the face after he killed his dog has been sentenced to five years jail with a minimum non-parole period of 2 ½ years. Calandro, claiming he tripped on an eggplant and his loaded double barrel shotgun discharged accidentally. 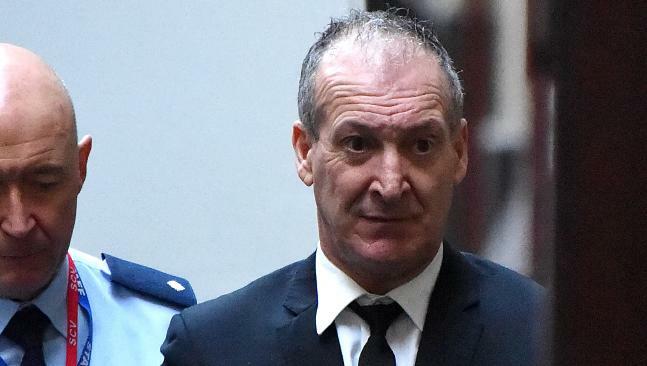 Mr Calandro, 43, was blasted in the face by Russo (pictured) on February 18 last year after he accidentally ran over his killer’s farm dog Harry. Picture: AAP. 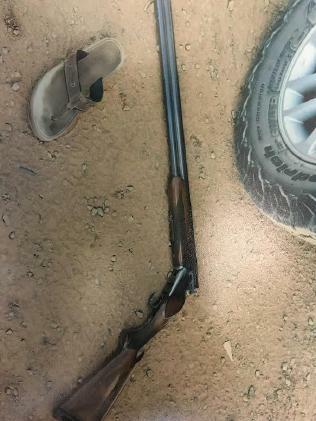 Justice Michael Croucher accepted Mr Russo had stumbled, possibly on an eggplant, and accidentally shot his friend "with anger in his heart but no violence in mind". Mr Calandro, 43, was blasted in the face by Russo on February 18 last year after he accidentally ran over his killer's farm dog Harry. His two children were inside the vehicle when their dad was shot through the driver's side window, one suffering injury from glass fragments. 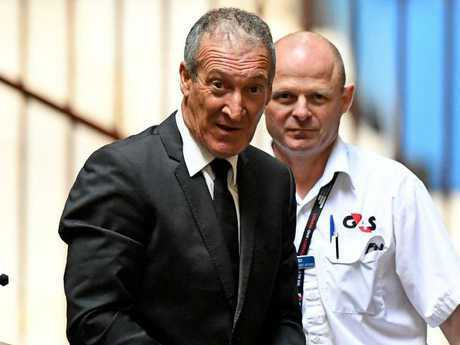 Justice Croucher found the gun was faulty and had discharged without the trigger being pulled when Russo stumbled as he approached a vehicle Mr Calandro was sitting in and the barrel of his gun hit the driver's window. The judge said the short non parole period reflected Russo's remorse, excellent rehabilitation prospects, good character and guilty plea, saying his demeanour was that of a man "devastated by what he has done" and he had tried his best to honestly explain what had happened. He found Russo should not have approached the car with a loaded gun and should have ensured the safety catch was on, but said the offence fell to the "lower end of gravity" of manslaughter. The gun that went off without the trigger being pulled. Justice Croucher found Russo had the shotgun because he had just shot his dog and made no threats as he approached the vehicle and did not aim the weapon at it or Mr Calandro. The judge also accepted Russo did not know the gun was faulty as he had not previously used it in the eight or nine months since buying it second hand. "It must be said there was a good deal of bad luck involved," he said. "In all the circumstances … it is easy to see a jury might have found him not guilty." Justice Croucher said Russo would "bear the burden of what he has done for the rest of his live". In May, Russo's barrister, Patrick Tehan QC, had called on Justice Croucher to impose a sentence "as lenient as the court permits". Mr Tehan said the court should accept Russo tripped when his loaded gun hit Mr Calandro's side window and fired without him ever pulling the trigger. Justice Croucher was also asked to accept that Russo only had the gun at the time because moments earlier he had put down his own beloved dog, which was either already dead or dying. 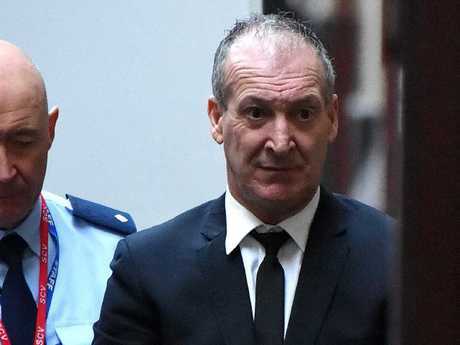 Mr Tehan said Russo accepted he momentarily lost sight of his duty of care in handling the gun and ought to have known better and accepted that he was criminally negligent in the way he approached Mr Calandro with a shot gun. The jury heard Russo was furious after learning Mr Calandro, who was accompanied by his mate Vince Vigliaturo, had ran over his dog. "You f---ing run over me dog and didn't even stop, you bunch of c---s," Mr Russo told Mr Vigliaturo. "Where's that c--- Calandro? You f---ing ring him and tell him to come back and have a look at what he's done to me f---ing dog, you f---ing low down c---s."
A ballistics expert confirmed Russo's gun had two major faults in the safety and barrel, which could lead to the weapon firing accidentally if the underside of the barrel was knocked hard enough without the safety on. Russo's guilty plea followed an earlier decision by a magistrate to throw out his charge of murder on the basis he didn't believe police had enough evidence for a jury to convict with. But police pushed on with the charge anyway before dumping their case four days into the trial when Russo made his third offer to plead guilty to manslaughter. Justice Croucher suggested he agreed with the Magistrate's decision, declaring a murder charge was "never" going to stick. "People have sought to defend cases like this in far more overwhelming circumstances and sometimes they succeed," he said. Justice Croucher heard that there had never been an instance before the court where it was to be accepted that the shooter never pulled the trigger. Russo, who has already spent almost 17 months behind bars, will be eligible for parole in 14 months. 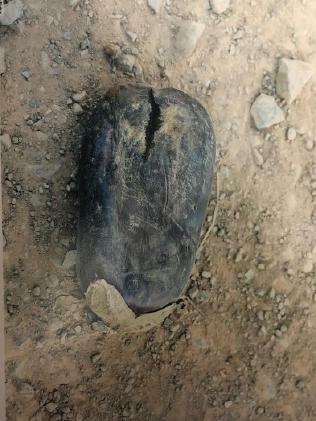 Russo claimed he slipped on an eggplant and accidentally shot Calandro.